Lieutenant Governor Sheila Y. Oliver will give the welcoming remarks to begin the day of conference sessions. Our world is changing and historic preservation must too. Cultural fragmentation, demographic shifts, economic and political transformation, climate change, and the emergence of digital technologies that affect our relationship to place—all of these realities must be faced if preservation is to embrace its rightful role as a living and vital connection to our past. Join the conversation with our panel of thinkers and doers as we ask: What role can preservation play in enhancing the financial, environmental, social, and cultural well-being of our communities? How can we embrace the past without losing sight of our future? Briann G. Greenfield , Ph.D.
Briann G. Greenfield, Ph.D., is Executive Director of the New Jersey Council for the Humanities, a state partner of the National Endowment for the Humanities with a mission of bringing the humanities programming to New Jersey residents. 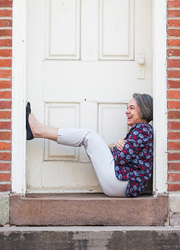 Previously, Briann was Professor of History at Central Connecticut State University where she directed the department’s Public History Program that prepares students to work in museums and historic preservation. Briann received her M.A. in Museum Studies and her Ph.D. in American Studies from Brown University. Briann’s collections experience includes serving as a member of the Connecticut Historical Society’s Collections Steering Committee and Deaccession Task Force. She is the author of Out of the Attic: Inventing Antiques in Twentieth-Century New England (Amherst: University of Massachusetts Press, 2009). 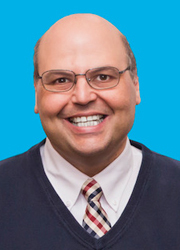 Robert F. Guarasci is Founder and Chief Executive Officer of New Jersey Community Development Corporation (NJCDC), whose mission is to create opportunities to transform lives in New Jersey’s third largest city, Paterson. Starting with 2 employees in 1994, NJCDC now employs 140 people and has an annual operating budget in excess of $12 million. NJCDC operates a variety of programs and services that include a preschool for inner-city children, an Innovative Academy high school, AmeriCorps, supportive housing for people with disabilities and youth aging-out of foster care, job training initiatives, and youth programming. NJCDC has invested over $70 million in brick and mortar projects throughout its neighborhood, including 150 units of affordable housing. Additionally, Bob and NJCDC founded the Community Charter School of Paterson, with 900 students in grades K-8. Prior to starting NJCDC, Bob served for four years as Executive Assistant to New Jersey’s Commissioner of Human Services, where he worked on issues ranging from welfare reform to an expansion of community-based services for vulnerable citizens. Bob’s current professional interests include the revitalization of Paterson and the Great Falls Historic District, replication of the Harlem Children’s Zone model for child and family well-being, the creation of supportive housing for individuals with disabilities, comprehensive youth development programs for at-risk youth, and educational initiatives for economically disadvantaged children. Bob serves as a gubernatorial appointee to the Board of Trustees of William Paterson University and the Paterson Housing Authority. Bob has also been appointed by the US Secretary of the Interior to serve on the Paterson Great Falls National Historical Park’s Federal Advisory Commission. Additionally, Bob serves on the boards of the Paterson Alliance, a consortium of non-profit agencies serving Paterson residents, as well as the Housing and Community Development Network of New Jersey. Randy Mason teaches in the Graduate Program in Historic Preservation and is Associate Professor in the Department of City & Regional Planning. His courses focus on historic preservation planning, urban conservation, history, and cultural landscape studies. 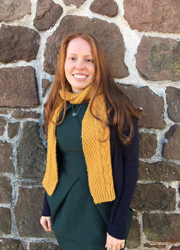 Mason’s research interests include theory and methods of preservation planning, cultural policy, the economics of preservation, historic site management, the history and design of memorials, and the history of historic preservation. He leads the Center for Research on Preservation and Society, which undertakes applied research projects on site management and on social, economic and political aspects of historic preservation. 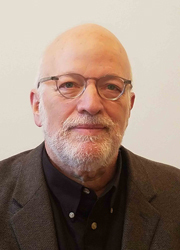 His books include The Once and Future New York: Historic Preservation and the Modern City (University of Minnesota Press, 2009) and Giving Preservation a History: Histories of Historic Preservation in the United States (edited with Max Page; Routledge, 2004). Before joining the PennDesign faculty in 2004, Mason worked as Senior Project Specialist at the Getty Conservation Institute, researching economic and social issues relating to heritage conservation. He contributed to Getty publications including Economics and Heritage Conservation, Values and Benefits of Cultural Heritage Conservation, and Assessing the Values of Cultural Heritage. Previous positions include Assistant Professor and Director of Historic Preservation at the University of Maryland, and adjunct faculty in landscape architecture at RISD. His professional experience includes several years of consulting practice and he co-founded the nonprofit research group Minerva Partners (which developed projects to strengthen the connections between heritage conservation and social development). Mason was awarded the 2012-2013 National Endowment for the Arts Rome Prize, and during his residency at the American Academy in Rome researched the Roman architect, planner and conservationist Gustavo Giovanonni. Earlier in 2012, Mason was granted an Honorary Doctorate, Honoris Causa, from Gothenburg University in Sweden. Bernice Radle owns and operates Buffalove Development in Buffalo, NY. Buffalove is a small scale real estate development company focused on bring vacant spaces and places to life in a community conscious way. 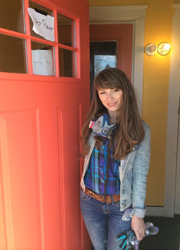 Her renovation and restoration work has been featured in many local and national news outlets including NYTimes, Atlantic Cities, Huffington Post, HGTV and DIY Network. Bernice also is a key leader in the Buffalo’s Young Preservationists, is the creator of the “heart bomb” and serves on the Zoning Board of Appeals for the City of Buffalo. 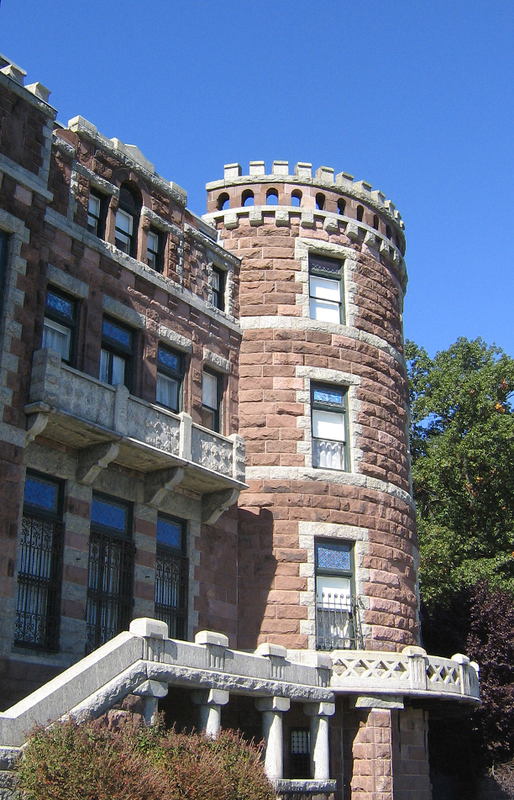 New Jersey has often overlooked its colorful history in promoting the state’s heritage attractions to outside visitors, yet we offer some of the most unique and significant historic sites of any nearby state. Becoming a heritage tourism destination doesn’t just happen overnight. It takes a dedicated team of enlightened partners at both staffed and volunteer led historic sites to make compelling visitor attractions. Representatives from three different counties will highlight their step by step process to capitalize on their history. Leslie Bensley serves as Executive Director of the Morris County Tourism Bureau and has been a stalwart supporter of Morris County’s illustrious heritage and culture for the past 20 years. The Morris County Tourism Bureau is a 501 c 3 non-profit Destination Marketing Organization that positively affects the economy of Morris County by promoting the area’s exceptional historic, cultural and recreational opportunities by providing services to residents, business travelers and tourists. In 2013 Leslie received an award for recognition from the New Jersey Historical Commission for her contributions to upholding and promoting the history of NJ. She served as vice-chair of the Governor’s Task Force for Heritage Tourism. Currently she is the secretary of the Crossroads of American Revolution Heritage Association, past treasurer of the Advocates for NJ History and a board member of the NJ Travel Industry Association. Hailing from Savannah Georgia, Bensley saw preservation and heritage tourism in action as a child while growing up in one of the most beautiful cities and largest historic districts in the United States. Leslie later attended New York University where she studied political science. Bensley lives in Morristown with her husband Charlie of 28 years and has two children Eliza, and Sam. Before returning to Morristown 24 years ago, Leslie and her family lived in Brussels, London and Tokyo. From time to time you may find her working away in her garden. Donna Ann Harris is the principal of Heritage Consulting Inc. a Philadelphia-based Women’s Business Enterprise (WBE) boutique consulting firm that aids non-profit organizations and government agencies nationwide in the following practice areas: downtown and commercial district revitalization, historic preservation, tourism product development, and non-profit organizational development. AltaMira Press published her book New Solutions for House Museums: Ensuring the Long-Term Preservation of America’s Historic Houses in 2007. Ms. Harris’ chapter on “Best Practices for Board Service for Historic Sites,” will be included in Reimaging the Historic House Museum: Catalysts for Change, edited by Kenneth Turino and Max Van Balgooy for Rowman and Littlefield, Publishers in 2018. For the past fourteen years Ms. Harris has been speaking about and consulting with historic house museums around the country about alternative uses and stewardship responsibilities. Preparing heritage tourism assessments and audience research studies have been a major focus of her practice for the last five years. Currently Ms. Harris is working with the Camden County History Alliance on a county wide Heritage Tourism Plan which includes the first Camden County History Week open house scheduled for October 15 to 21, 2018. Kelly C. Ruffel is the Director of the Department of Cultural and Historic Affairs for the County of Passaic. She oversees all of the County’s historic assets through the administration of preservation grants, implementation of cultural and history programming, and management of restoration and rehabilitation projects. She served as the Historic Preservation Specialist for the City of Paterson for four years, assisting in public preservation projects and regulatory permitting review. She continues to serve as a commissioner on the City of Paterson Historic Preservation Commission. Ms. Ruffel holds her BA in History, BA in Anthropology, and an MA in History from William Paterson University. Since January 2017 the Administration and Congress have implemented a range of initiatives which are intended to reduce the regulatory reach of the Federal Government and facilitate development. Among these have been a series of measures which remove or limit Federal agency responsibilities towards historic properties The Federal Historic Preservation Tax Credit Program has also been weakened. What is the effect of these changes? What else may be in the pipeline? How do we respond? Do some changes provide opportunities for doing things better? 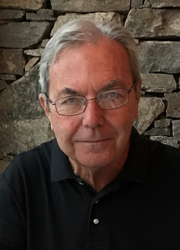 Ian Burrow has been an archaeological and cultural resource management professional since 1975, firstly in England and, since 1988, in the United States. In 2015 he founded BurrowIntoHistory, LLC, whose mission is to improve the preservation, management, and public enjoyment of historic cultural resources in the U.S. and beyond. For the previous 27 years he worked as Vice President and Principal Archaeologist at Hunter Research, Inc., a well-respected cultural resource management company based in Trenton. Prior to that he held several positions in England, including Director of the Oxford Archaeological Unit. 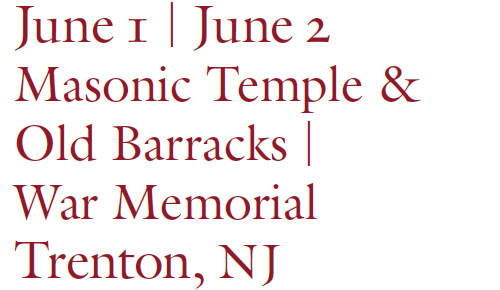 He was the 2015 recipient of the NJ Historical Commission’s Richard J. Hughes Award for Distinguished Contributions to Public Knowledge and Preservation of New Jersey History. He has been active at the national level in advocating for archaeology, cultural resource management, and historic preservation, serving terms as President of the Register of Professional Archaeologists and of the American Cultural Resources Association (ACRA). From 2012 to 2016 he was Vice President of Government Relations for ACRA, a position involving interaction with the national historic preservation community, federal agencies, and Capitol Hill. He is the principal author of more than 250 cultural resource management reports and has published numerous papers and book reviews in journals in the U.S. and the United Kingdom. 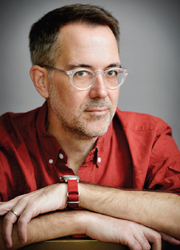 David Listokin is a Professor at the Center for Urban Policy Research of Rutgers University. He is a leading authority on public finance, development impact analysis, and historic preservation. Dr. Listokin has recently been analyzing strategies to quantify the economic benefits of historic preservation, research sponsored by the National Park Service, state governments, and the National Trust for Historic Preservation. 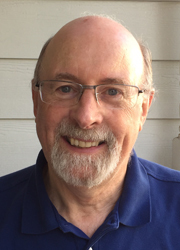 He has written and edited 25 books, including The Subdivision and Site Plan Handbook, Development Impact Assessment, The Fiscal Impact Handbook, Living Cities, Landmarks Preservation and the Property Tax, and Mortgage Lending and Race. 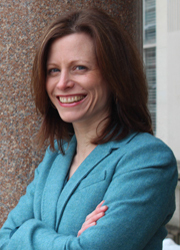 Over the past two decades, Dr. Listokin has served as principal investigator for a wide range of clients, including the U.S. Department of Housing and Urban Development and the Department of State, the National Trust for Historic Preservation, Fannie Mae Foundation, and the Twentieth Century Fund. His model residential subdivision and site plan ordinance, co-authored with Carole Walker, has been adopted by New Jersey as the statewide uniform code. Dr. Listokin is currently working on a HUD-funded study analyzing regulatory impediments to rehabilitation and on an analysis funded by the National Park Service that quantifies the economic benefits of historic preservation. Marion Werkheiser is the co-founder and chief executive of Cultural Heritage Partners, a government affairs, strategy, and law firm focused on the intersections between development and preservation. 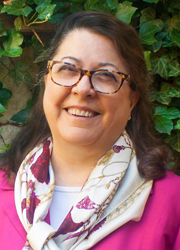 She advocates for increased support for the national historic preservation program at the federal level, helps clients navigate the Section 106 process at the project level, and advises project proponents, tribes, and consulting parties to achieve creative, win-win outcomes that balance preservation values and development. Marion earned her J.D. from Harvard Law School and is licensed to practice in Virginia, California, and the District of Columbia. Building envelopes provide shelter for all activities which occur within. They are made of many different types of materials and vary greatly in size and configuration. But from the moment they are constructed they start to deteriorate. The goal of this session, focused on roofs and facades, is to show how they are constructed, how and why they deteriorate and how to remedy a range of key problems which occur. In particular, each presenter will explore critical details for performance and longevity. David Abramson, AIA is a Principal at The CTS Group Architecture/Planning in Chatham, NJ. He received a Bachelor of Architecture at the University of Illinois and a Master of Science in Historic Preservation from Columbia University. Since 1976 he has been a member of The New Jersey State Review Board for Historic Sites and for 20 years served on the Newark’s Landmarks and Preservation Commission, 9 of them as Chairperson. He has devoted his career to restoration and historic preservation on a wide variety of projects which included detailed conditions assessments as well as restoration construction. He is the recipient of numerous awards including the NJDEP Historic Preservation Office’s 1995 Excellence in Historic Preservation award for the restoration of the Sawmill at Double Trouble State Park. He was the partner-in-charge for both of CTS’ 2016 Merit and Honor awards in Historic Preservation from AIA New Jersey. He is excited to participate with exceptional colleagues in this seminar. Eric Holtermann, AIA is a principal at HMR Architects in Princeton, NJ. He has worked on both new and historic projects throughout his career, with a particular interest in the appropriate use of old buildings and sensitive integration of new design within historic contexts. Recent projects include the Farmhouse at Howell Living History Farm, Loew’s Jersey Theatre in Jersey City, and new housing at the Institute for Advanced Study in Princeton. A resident of Pennington since 1999, Mr. Holtermann worked closely with the Borough Council in 2011 to draft a Master Plan Element and subsequent Historic Preservation Ordinance. 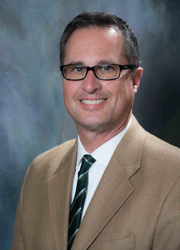 He is currently chair of the Pennington Historic Preservation Commission. 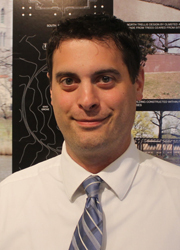 Brian P. Compertore, is an Associate at the CTS Group Architecture/Planning in Chatham, NJ. Since graduating from the New Jersey Institute of Technology in 2006, Brian has worked on numerous adaptive reuse, restoration, preservation, and façade maintenance projects in New York and New Jersey. Brian was the project manager for all CTS’s award-winning projects in Historic Restoration and Adaptive Reuse including The Restoration and Adaptive Reuse of The Rogers Locomotive Works Storage Building, Recreation of the Music Court Pavilions, Façade Restoration of 93 Reade Street, and the Façade Restoration of 202 5th Ave.
Thomas B. Connolly, AIA, is the Principal Architect for Connolly & Hickey Historical Architects, located in Cranford, New Jersey. Connolly & Hickey is an architecture and historic preservation firm specializing in the restoration, rehabilitation, and adaptive use of a variety of historic resources. Tom received his Bachelor of Architecture from the New Jersey Institute of Technology and has worked in the field of historic preservation since 1994. 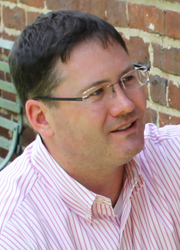 As Principal Architect, Tom provides project management, coordination, and direct client contact. He is also responsible for documentation of existing conditions, schematic design, design development studies, contract document preparation including drawings and specifications, cost estimates, contractor prequalification, bidding, and contract administration services. Tom has built a productive and effective working relationship with not only his clients but with the restoration contractors who execute the work to achieve the best result for the building. Have you ever driven past a building in your historic district and thought, “Hey, we didn’t approve THAT!” Has your municipality’s Historic Preservation Commission (HPC) reviewed a project pursuant to the local preservation ordinance, only to discover that the project wasn’t built as it was approved, or was built without any approval at all? This session will explore how a municipality can and should address issues of non-compliance with an HPC or planning board determination, violations, and enforcement. A strong relationship and effective communication between the HPC and other municipal officials, including the code or construction officials responsible for enforcement, are critical to the success of the larger municipal land use system. Barton Ross, AIA, AICP, LEED AP, President of Barton Ross & Partners, LLC, is an architect who has contributed to master plans for the Virginia State Capitol, the United States Capitol and Princeton University. He has worked on numerous landmark buildings including the Corbin Building in New York, the Surf Club in Miami and the Shady Rest Golf & Country Club in Scotch Plains. 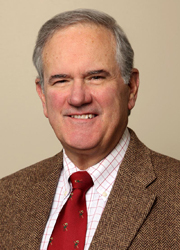 Currently, Mr. Ross is the historic preservation consultant for Millburn and Plainfield and serves on the Board of Directors for Preservation New Jersey. 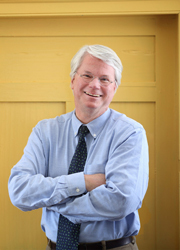 Warren Coupland is the Chairman of the Cape May, NJ Historic Preservation Commission. He joined the Commission in 2006 and has held the position of Chair since 2011. After a successful business career, Warren and his wife Janet retired to Cape May, NJ. With a lifelong interest in historic homes, Warren, a licensed Contractor, restored their eight bedroom, Carpenter’s Gothic Victorian home built in 1895 into one of the show houses of Cape May. Warren also participated in the renovation of a number of additional Victorian era homes in Cape May, a National Historic Landmark City. He holds a B.S. degree from La Salle University and a MBA degree from Lehigh University. Christopher H. Falcon has over thirty-five years of experience representing both public and private sector clients and has served as general and special counsel to various municipalities, boards and authorities. His areas of emphasis for public sector clients include the general representation of governing bodies, land use, planning, condemnation, infrastructure, financing and litigation. Mr. Falcon’s public sector clients have included Millburn Township Attorney (2006–present); Harding Township Special Counsel (2013 to present); General Counsel to Hanover Sewerage Authority (1972 to present); Morris County Municipal Utilities Authority (1987 to present); Pequannock River Basin Regional Sewerage Authority (1978 to present); and Morris Plains Planning Board Counsel (1980-present). Mr. Falcon’s areas of emphasis for private sector clients include transactional services, obtaining environmental clearances, real estate development, zoning approvals, and financing. Mr. Falcon is also a litigator representing the firm’s clients in both judicial and administrative proceedings. Mr. Falcon previously served as a Legislative Assistant in the New Jersey Assembly and the New Jersey Senate and as Mayor of the Borough of Mountain Lakes (1981-1985). 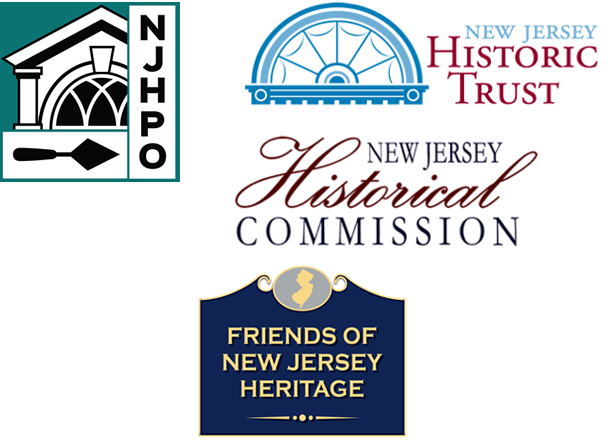 This session will explore alternative strategies for preserving historic buildings drawing on panelist experiences in three case studies from Passaic, Salem and Monmouth Counties. Each case involves a structureg on the National Register that was very close to loss and each case had a unique final disposition. Michael Margulies, a principal and co-founder of Eclectic Architecture, LLC, has over two decades of experience in architecture, historic preservation and traditional trades. His extensive involvement with design, architectural conservation, consultation, grant writing and public speaking is complemented by his field experience which focused on carpentry and timber framing. He has presented at the Drew University Historic Preservation Certificate Program and the Rutgers University Cultural Heritage & Preservation Studies Program. Michael is a founding member and President of the Pohatcong History & Heritage Society and also sits on the Pohatcong Township Historic Preservation Commission and Board of Directors of Preservation New Jersey. Roger Mumford is President of Roger Mumford Homes LLC, a Red Bank NJ based home building company that is involved with a wide array of projects including single family home communities in NJ and NY, rental communities, affordable housing and specialty projects such as the T. Thomas Fortune effort in Red Bank NJ. Roger was previously cofounder and President of the Matzel and Mumford Organization, a firm that built over 3,500 homes in NJ before being acquired by a public home builder. 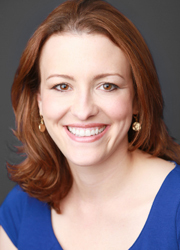 Penelope Watson, AIA is a Principal at Watson & Henry Associates, an architectural and engineering firm specializing in historic preservation for non-profits and public entities. Penny received a B.A. from Mount Holyoke College, a B.Arch from Boston Architectural College, and a Masters in Preservation Studies from Boston University. 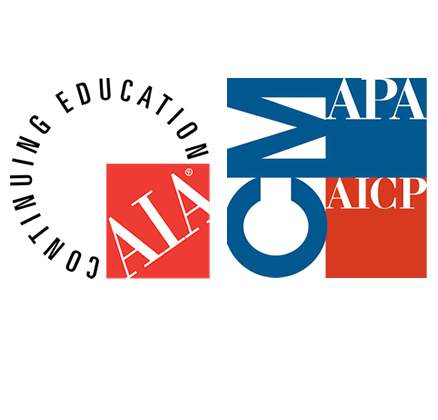 She is a registered architect in New Jersey and six other states and holds a NCARB certificate. 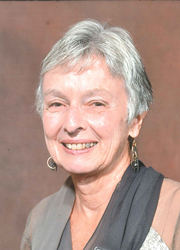 During the more than thirty-five years she has been active in preservation, her experience has included investigation of historic interiors, interior finishes and exterior materials; historical documentary research; architectural design, including barrierfree access, project management, and National Register and National Historic Landmark nominations. She is Chair of the Greenwich Township (Cumberland County) Planning and Zoning Board, a member of the Board of Directors of Preservation New Jersey and the US Life-Saving Service Heritage Association, and serves on the Cumberland County Cultural and Heritage Commission, the Greenwich Township Environmental Commission and the Greenwich Township Shade Tree Commission. 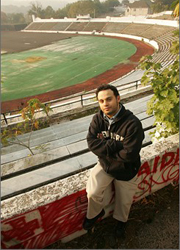 Born in Paterson, New Jersey, Brian LoPinto was raised two blocks away from Hinchliffe Stadium. As a young child, he knew that this cavernous structure could not have just been built for high school athletics. In 1997, when Hinchliffe closed due to neglect by the Paterson Public Schools, he contacted the National Baseball Hall of Fame. Their response: “The Hall of Fame certainly recognizes the significance of Hinchliffe Stadium and it is represented in our Library’s research collections.” That statement, from the highest authority on baseball, charged LoPinto to embark on his own independent research of Hinchliffe Stadium and to form the Friends of Hinchliffe Stadium with his colleague Dr. Flavia Alaya.